Private Hiring Signals Another Strong Jobs Report Jobs at U.S. businesses increased by 209,000 in March, according to a report released Wednesday by the payroll processing firm ADP. That's in line with expectations for the monthly jobs report due out Friday. Joanely Carrero restocks shelves at a Target store in Miami. Two reports Wednesday indicated that private hiring grew in March. Jobs at U.S. businesses increased by 209,000 in March, according to a report released Wednesday by the payroll processing firm ADP. That's in line with expectations for the monthly jobs report due out Friday. Analysts expect Friday's official employment report from the Labor Department to show that employers added 215,000 in March and that the unemployment rate remained at 8.3 percent, according to Bloomberg News. The ADP report counts only jobs at private employers. ADP also revised upward its employment numbers for January and February. The monthly government reports have shown the economy adding more than 200,000 jobs a month for the past three months. Despite the positive news on jobs, U.S. stocks dropped Wednesday. At midday, the Dow Jones industrial average was down 143 points at 13,057. Stocks fell partly because minutes of the Federal Reserve's last policymaking meeting suggest the central bank is less likely to give the economy a third round of monetary stimulus. Another economic indicator on Wednesday showed that service companies expanded at a healthy pace last month and stepped up hiring, more evidence that the economy is growing and adding jobs. The Institute for Supply Management said its index of nonmanufacturing activity dropped to 56 in March. That's down from February's 57.3, which was a 12-month high. Any reading above 50 indicates expansion. Economists said the slight decline isn't troubling because the reading was still at a healthy level that points to growth. And a measure of employment rose to near a six-year high reached in January. More jobs have helped service companies grow. As hiring picks up, Americans are more willing to spend. Consumer spending jumped in February by the most in seven months, the government said last week. 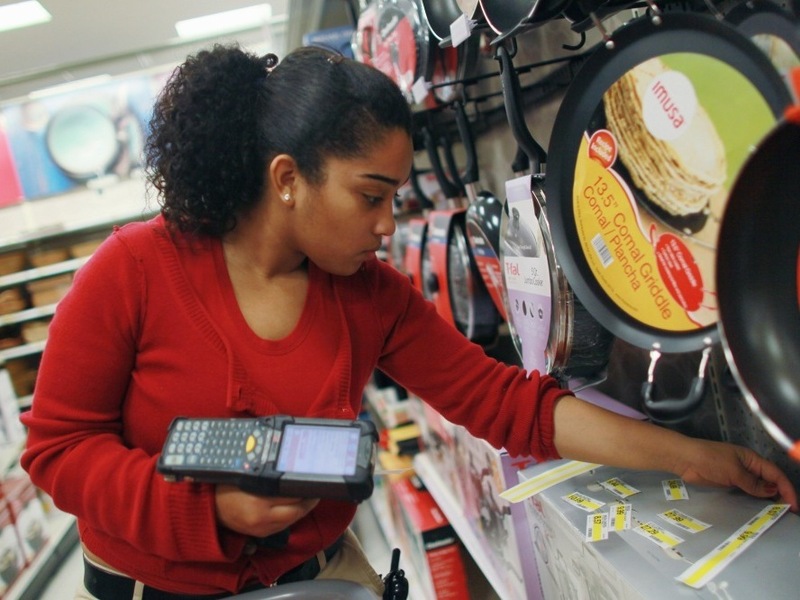 Department stores, electronics chains and other merchants are seeing more business. 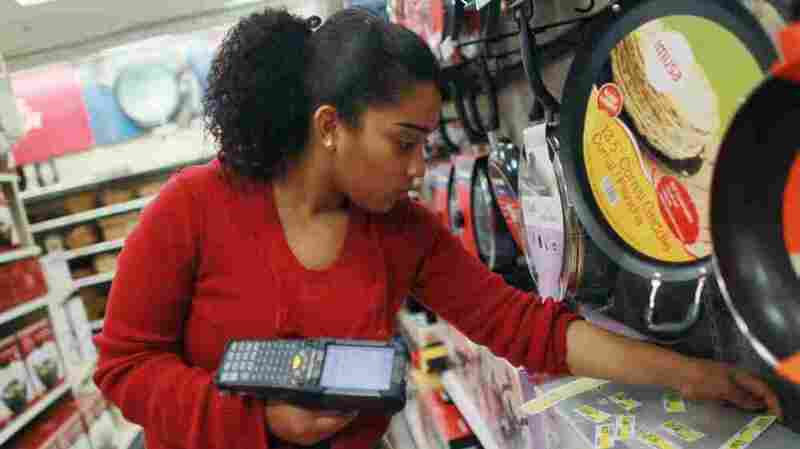 Retail sales increased in February by the most in four months. Department store sales rose in February by the most since November 2010. Big job gains at service firms are necessary to reduce the unemployment rate. The service sector includes low-paying positions in retail and restaurants. But it also has higher-paying jobs in professions such as information technology, accounting and financial services. The job gains have come as growth has picked up. The economy expanded at an annual rate of 3 percent in the final three months of last year. Still, the hiring gains have not resulted in bigger paychecks for most people. Income grew just 0.2 percent last month, matching January's weak increase. And when taking inflation into account, income after taxes fell for a second straight month. NPR's John Ydstie contributed to this report, which includes material from The Associated Press.